Most everyone would agree that there’s something magical about the voice of a child; especially when the voice in question is a well-trained one. Yisroel Amar of Golden Beach, Florida was the winner of the Jewish Star Junior competition in 2011. His debut album features songs and vocals of surprising quality. Additionally, he seems to have acquired better control of his sweet and clear voice since the competition last year. Before I get in to the actual review part of this article however, I must give you the obligatory rundown of the composing and arranging credits. It’s really very simple: Ian Freitor did all of the arrangements, Moshe Roth arranged all of the choirs and Yitzy Waldner (except where noted) composed all of the songs. But now, I think it would be wise for me to get going lest I stand the quite feasible chance of being forcibly detached from my computer to help with Pesach preparations. Bayom Hahu- I will utilize what seems to be a much used cliché in reviews. This album starts off with a bang! More specifically, it starts off with a nice little bass riff and some good work on the toms by Gal Gershovsky. The song then develops into a rock which will have you tapping your feet to the beat. One thing I noticed which struck me as being a bit odd was that the trumpets sounded like they were from a keyboard. It may have just been the way the track was mixed, but if not, I’m mystified as to why the arranger didn’t just use the real brass section he had at his disposal. But other than that, I was really impressed which means I’m giving the song an 8 out of 10 stars. Ten Brocho- This is another of Waldner’s famously gorgeous 4/4 ballads which reminds me of an Ohad song for some reason. It might be because he sings it with basically the same accent as Ohad. 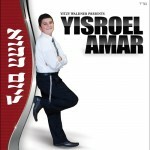 Whatever the case, Yisroel sings it with professionalism well beyond his years. I also thoroughly enjoyed the soulful clarinet interspersed throughout the song (I didn’t see anything about a clarinetist in the credits so it’s probably a keyboard sound as well). For me, this is the song of the album. 9.5 out of 10 stars. Tefilin- It’s ironic that my first three reviews are for albums which contain chazzanus. I guess it’s just my poor luck. But I have to admit I’m hooked on this one! Putting aside the question of whether or not the song should’ve been sung by an older and more experienced artist, Yisroel really surprised me by not attempting to sound too much like a chazzan, and just letting his natural voice do the singing. It also reminds me a little of another song – Omar Dovid to be exact. I especially like the fast part which is an awesome disco. 8.5 out of 10 stars. Birkat Kohanim- This a Kinderlach style slow song. Although it’s a 4/4, in the first few sections the drum beat is very interesting. The snare is hit on every 3rd beat instead of every 4th. Every time I hear it, my internal metronome goes nuts. The bridge sounds exactlylike a Kinderlach song complete with the vocal overdubbing. I love the way Yisroel sings the song with an abundance of passion. 8 out of 10 stars. Smile- The lyrics for this rock were written by Dina Amar (his mother?) and Ken Burgess. They stress the effect a simple smile has on the downtrodden. This wasn’t my favorite song, at least in terms of the style of music. 7 out of 10 stars. Toda- This is yet another beautiful 4/4 ballad. I can’t help but think that Yisroel sounds a lot like Yonatan Shainfeld in this song. The lyrics were written by Shmuel Yona (who also wrote Malachim for Chaim Yisrael) and Yishai Lapidot is featured as a guest vocalist. The way the two voices contrast with one another is a rare treat to listen to and whoever came up with the idea is a real genius! 9 out of 10 stars. Vehu- Boruch Levine composed this disco. It’s not a bad song, it just didn’t really grab me. I guess I don’t feel like the song really goes anywhere. One thing I did love was the amazing sax solo by Shlomi Cohen. Ever since I’ve had the good fortune of playing a few songs together with him, he’s been one of my favorite musicians. 6.5 out of 10 stars. Hilulat- Ya’akov Shwekey is probably kicking himself now for not snatching up this thumping Middle-eastern Hora and using it for his latest album. The arrangements were very well done and it would be a real shame if the song doesn’t make it big just because it’s not sung by a superstar. It really has a lot of potential. I just wish there would’ve been a 3rd part. I think that would’ve guaranteed it a place amongst the top Horas regardless of the artist. 8.5 out of 10 stars. Mikdash- This is a very nice and simple ballad by Boruch Levine. There’s really not too much more to say so I’ll leave it at that. 8 out of 10 stars. Gam Zu- This has an upbeat techno beat with some good synth sounds. Maybe it’s because I’m used to hearing slow songs with these words (Gam Ki Eilech) but the tune and the tempo don’t seem to match them very well. 6.5 out of 10 stars. Whether or not any of these songs become popular within the ranks of the general public, remains to be seen. It’s always a struggle for an artist to get noticed amongst the plethora of other artists out there – let alone a child. But then again, it’s also not every day an artist releases a debut album with quality like Bayom Hahu. What I really liked about this album was that Yisroel knows his limits and doesn’t try to outdo himself. He sings with authority throughout all 10 songs and it was a smart idea to keep the choir’s volume to a bare minimum so as not to overpower his wonderful voice. I am rating the album 7.5 out of 10 stars which is very impressive considering the factors mentioned above. This will undoubtedly make a great Afikomen present for children and is available for both purchase and download at http://www.mostlymusic.com/bayom-hahu.html or at your local Jewish music store. As always, your thoughts and opinions are more than welcome in the comments section below. Chag Kosher V’Sameach.